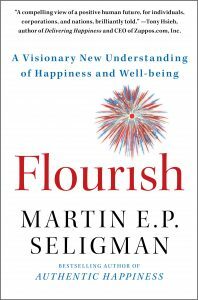 Flourish by Martin Seligman is a great read for those looking for a deeper understanding of happiness and ways to focus on increasing and sustaining happiness in your own lives. 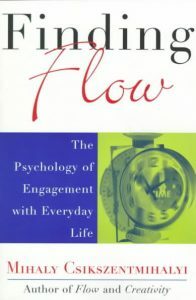 Finding Flow by Mihaly Csikszentmihalyi was such a fun read! I learned so much about what motivates us to to do our best work. I have been thinking a lot lately about how to find autonomy, purpose, and meaning in my work and wondering what I could possibly do to influence this pursuit. If you have been pondering the same personal questions I highly recommend this read. Find your “flow” and find enjoyment and satisfaction in what you do. Just picked up a copy of Real Happiness and so far I love it. If you are a therapist or a teacher this would be a great resource to keep handy. If you are wanting a book that provides you with helpful activities to incorporate into your daily life, this is a great tool! 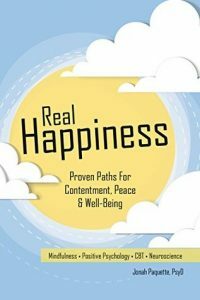 Eight chapters devoted to helping you improve your overall well-being and happiness. Each with a couple of great exercises to engage in. Have fun with this one!